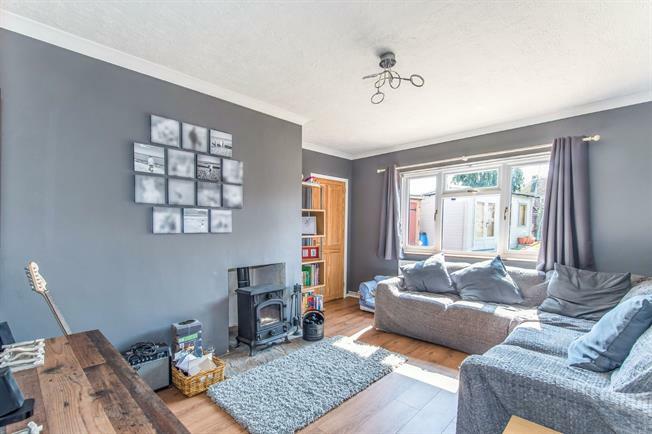 3 Bedroom Semi Detached House For Sale in Sheerness for Offers in excess of £210,000. This much loved family home has a great feeling from the moment you enter. To the left of the entrance hall the 20ft kitchen diner offers space and storage for all the family to get together for an evening meal or to help the kids with their homework. The kitchen diner has French doors to the south facing, ample garden space which benefits from a double glazed and insulated cabin/office with power and lighting and brick built shed with WC and wood store. The good sized lounge with log burner can be accessed from the hallway and the kitchen. Upstairs there are 3 bedrooms and a family bathroom. Call now to book your viewing.